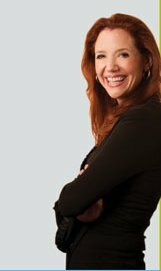 Tag Archives for " Sally Hogshead "
Why are you captivated by some people, but not others? Why do you recall some brands, yet forget the rest? In a distracted and overcrowded world, how do certain leaders, friends, and family members convince you to change your behavior? The answer, according to brand innovation consultant Sally Hogshead, fascination. 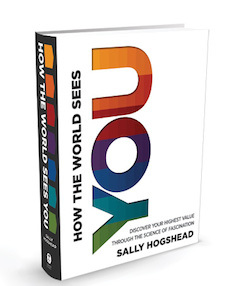 Hogshead is the author Fascinate: Your 7 Triggers of Persuasion and Captivation. The book represents three years of research, and explores the 7 universal triggers of fascination: power, lust, mystique, prestige, alarm, vice, and trust. The primary idea behind Fascinate is that we all have some amount of the seven potential fascination triggers. Each trigger leads to a different style of communication and a different type of relationship. The more accurately you identify your personality triggers, and the more intelligently you hone them, the more influential your message becomes. This notion certainly applies to individuals, but it also applies to how fascinating your company or brand is as well. It’s not enough to simply know the triggers, you’ve got to find ways to communicate and use them as well. You can dive deeply into this idea in her latest book How the World Sees You – Discover Your Highest Value Through the Science of Fascination. The building blocks of Hogshead’s approach are what she calls archetypes. These 49 elements make up your core “advantages” and give you insight into the best way for you to operate in the most authentic way. How The World Sees You also introduces the concept of a personal anthem based on your personality advantage. This 2 or 3 word tagline can become your filter for how you make decisions that are right for you. Listen to the interview linked above and hear Sally break down my personality type and anthem. I also believe that this is an idea that could prove valuable to bring to your clients. Helping them understand their unique value could prove to be one of the best gifts you can give them. 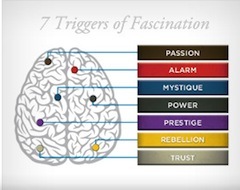 The primary idea behind Fascinate is that we all have some amount of thee seven potential fascination triggers. Each trigger leads to a different style of communication, and a different type of relationship. The more accurately you identify your personality triggers, and the more intelligently you hone them, the more influential your message becomes. This notion certainly applies to individuals, but it also applies to how fascinating your company or brand is as well. It’s not enough to simply know the triggers, you’ve got to find ways to communicate and use them as well. Take the F Score personality test to find out which triggers you’re using to persuade!